Very often an Enumeration type represents a sequence or a ranking, like Offline-Connecting-Online or Bad-Good-Better-Best. In a user interface it would make sense to bind a property of such an Enum to a Slider control and let it more or less behave like a rating control. does not crash the XAML designer (!). // The Enum Type to which we are bound. /// Called when the (default or custom) style template is applied. 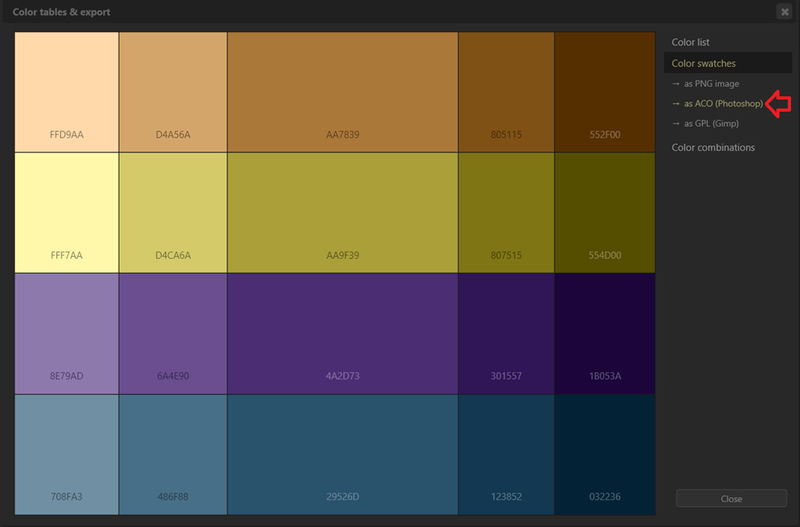 // Keep the XAML Designer happy. /// Configures the internal Slider. None = -1,  // Does not work. Important = 10, // Does not work. In this version of the EnumSlider, we’ll NOT work around these issues. We assume that an enumeration without linear sequence numbers is probably not a good candidate to be bound to a linear slider. We like to keep this control lightweight, and hence only focus on the ‘regular’ enumerations. If you *do* want a version of a slider control that deals with custom sequence numbers and underlying data types, please check this older version that we wrote a couple of years ago. Its mapping logic is built upon an internal dictionary with the enumeration’s text values. 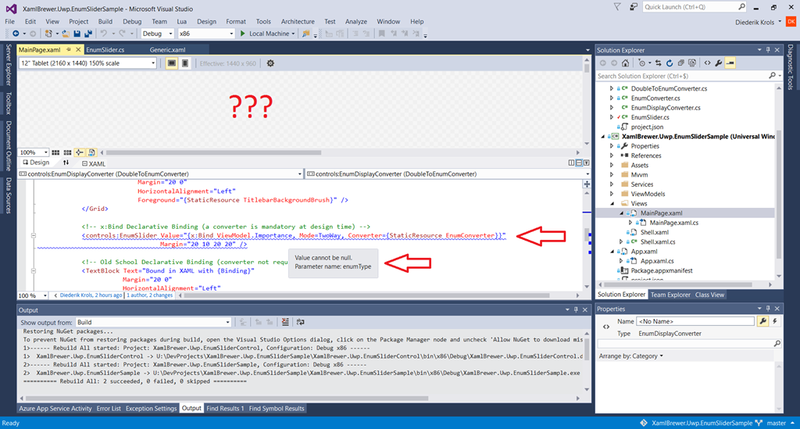 If you want developers to use your control in their apps, make sure it does not crash the XAML designer. /// Called when the Value changed, e.g. through data binding. // Initialize the Enum Type. return; // Slider got its value. /// Converts the value of the internal slider into text. // Look for a 'Display' attribute. Alternatively you can use the Display value for looking up a localized value from a resource. For an example of this, check this article by Marco Minerva. /// Facilitates two-way binding to an Enum. /// Sets up a two-way data binding. Alternatively, we could have exposed the logic as an extension method of Enum, but then it would be less discoverable. Write defensive code in OnApplyTemplate and OnValueChanged event handlers. You never know in which order they are called. 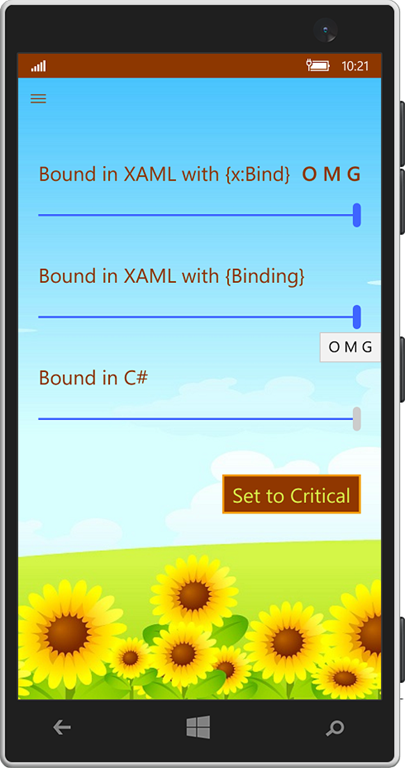 Make sure to not crash the XAML Designer. Test your controls against all types of data binding. Test your controls in release mode from time to time. If your control contains logic that could be useful to the client, expose that logic. 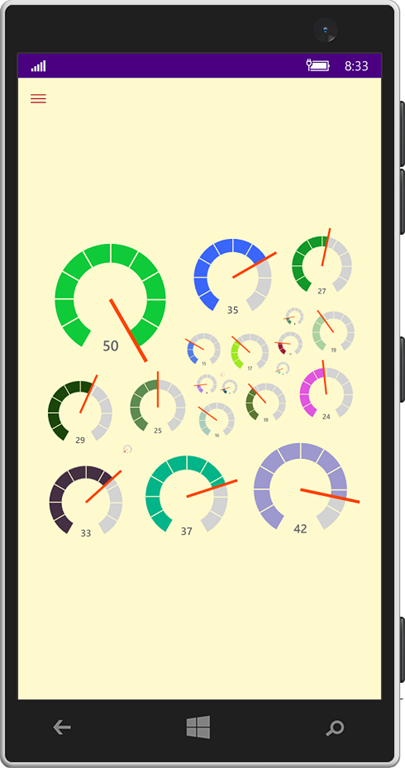 The sample app and the control live here on GitHub. The EnumSlider control has its own project, for easy reuse. This entry was posted in User Controls, UWP on January 31, 2016 by xamlbrewer. 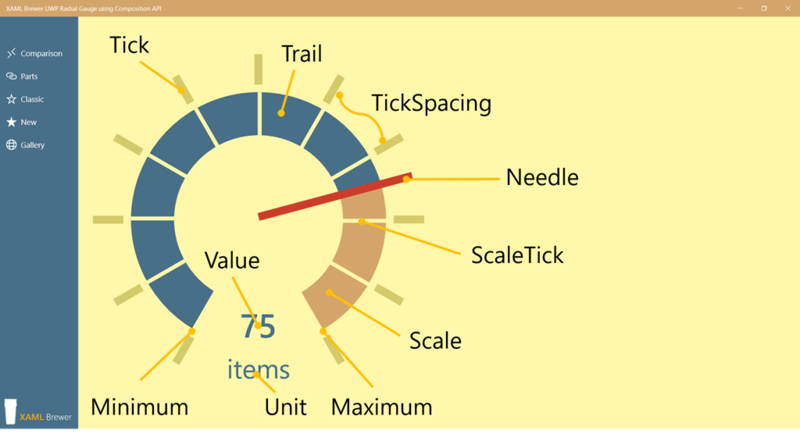 A gauge is an indicator that displays a value within a range – so it needs to have things like Minimum, Maximum, Value, and probably a Unit. 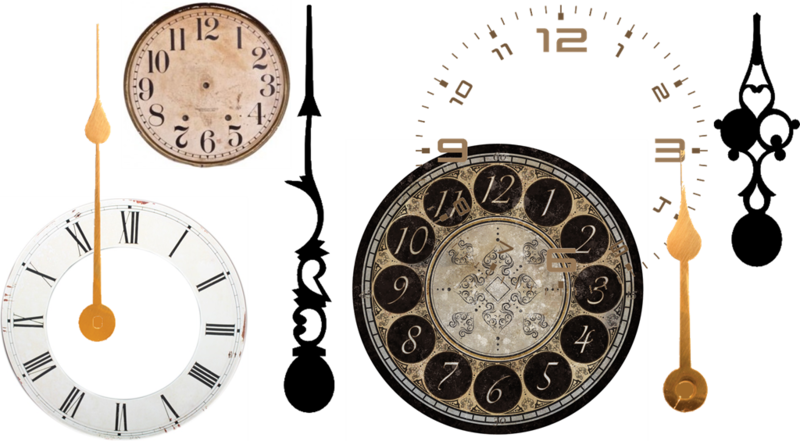 A radial gauge is a gauge that looks like an analog clock – so it comes with things like a Scale, Ticks, and a Needle. 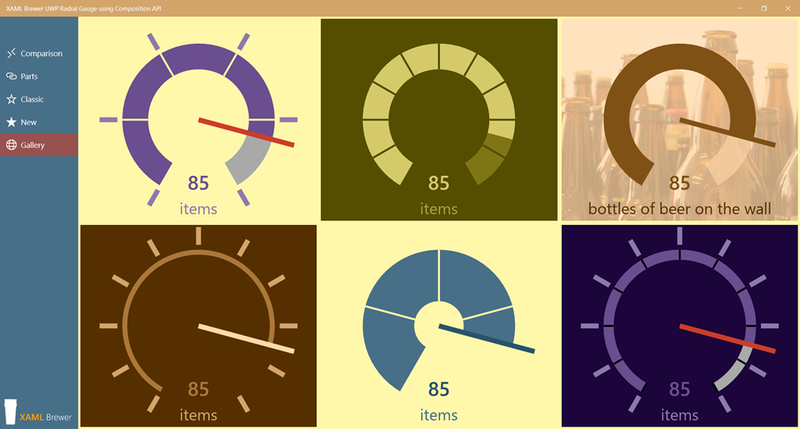 Unit="bottles of beer on the wall"
On top of that, the control is templatable: a developer can hook the gauge to a custom template (provided or not by a designer) as long as some requirements are met. 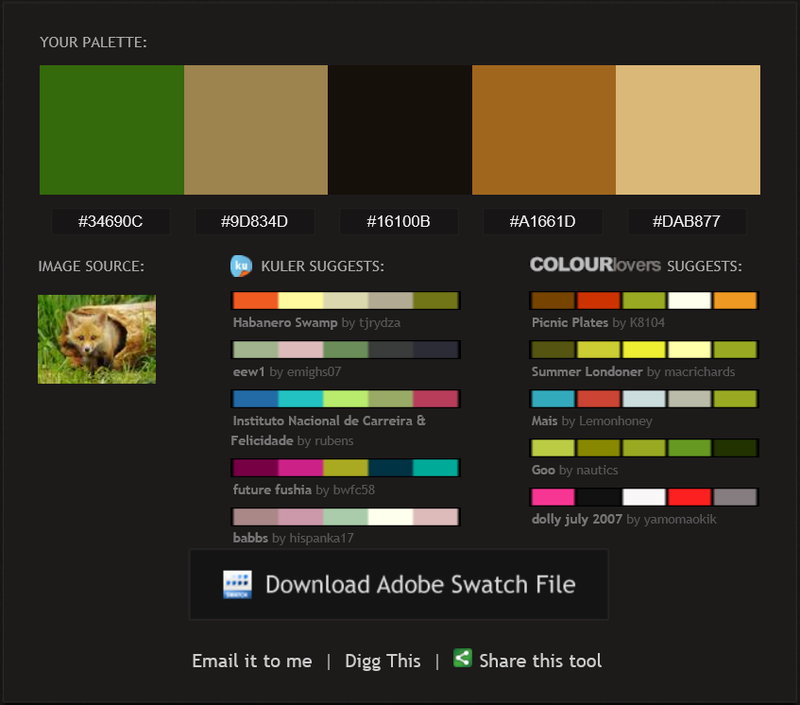 Here’s how to decide what elements to put in the style. For the elements that are drawn by the Composition API, it’s simple: there’s no markup available for them (yet? ), so they will always be drawn in code-behind. 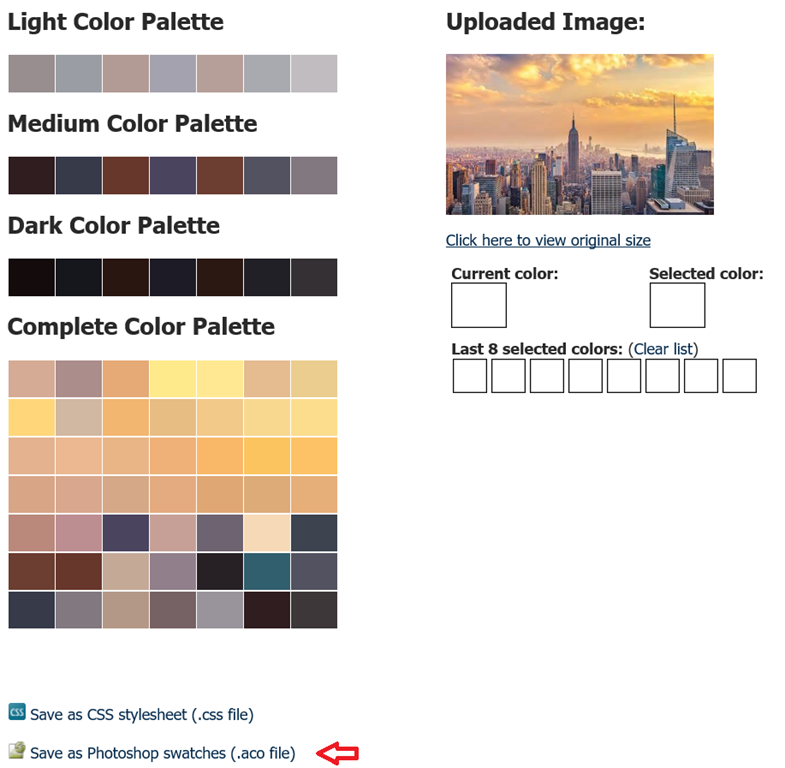 Any rectangle that is filled with a solid color or an image is a candidate for rendering through the Composition API and hence will not appear in the control template. For the radial gauge these are the ticks inside and outside the scale, and the needle. 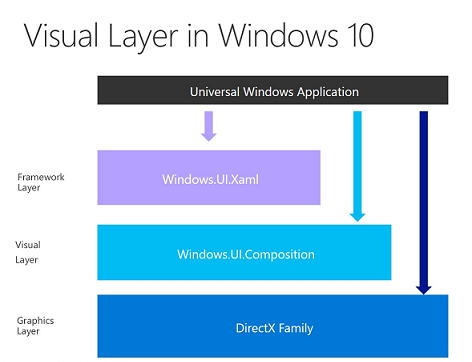 If you’re not into DirectX then the remaining parts will be drawn in XAML. For these elements you still have the choice. You can declare them in the style, or program them in code-behind. For the radial gauge, the XAML parts are [the border of] two ArcSegment instances and the text blocks that display the value and the unit. 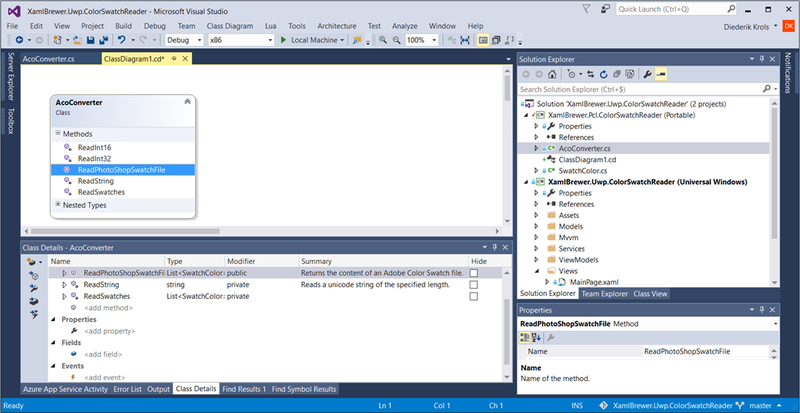 We can not define the arc segment fully in XAML: the width of the background scale is configurable, and the end point of the trail depends on the current value. So both arc segments need to be drawn programmatically. 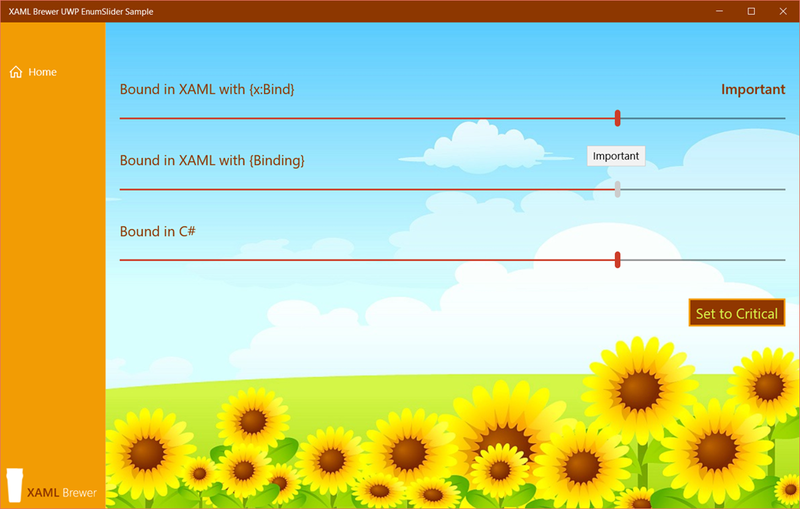 The corresponding Path elements are declared in the XAML control template, but only with their color properties set – no path or dimensions. The Stroke and StrokeThickness are bound through a TemplateBinding to properties that are defined in the class itself. Observe that all named elements follow the PART_Xxx naming convention which is typical for templated controls. The class definition also contains the properties that are exposed by the gauge: the Minimum, Maximum and current Value, and a set of colors. These are implemented as Dependency Properties, which makes them automagically available for data binding, animation, and change notification. A dependency property registration declares a name, a type, and optionally a default value and a change event handler. // Redraw trail, rotate needle, and update value text. The rest of the properties have similar declarations. They’re all generated by the same built-in code snippet: ‘propdp’. At runtime the OnApplyTemplate override is the first place where we have programmatic access to the fully templated control. All XAML elements are available there. If necessary, we can now refine the initial look. We will draw the scale and the ticks, and also the needle in its initial position. For each part, we call GetTemplateChild() to get a reference to the element in the template. It’s good practice to check if the part actually exists. After all, as a custom control developer we only provide a default template. We’re never sure of the actual template that will be applied. 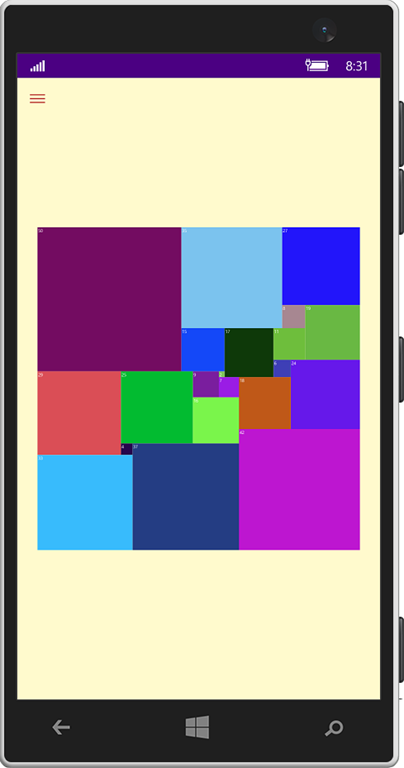 some SpriteVisual instances – rectangles to be filled with a CompositionBrush (a solid color or an image). 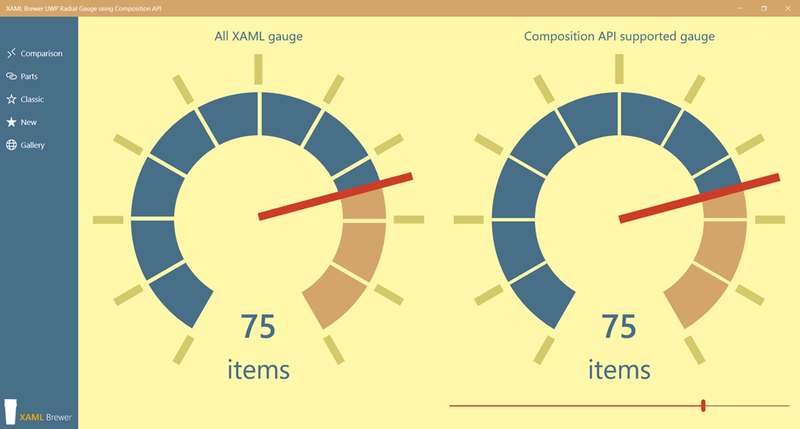 At the end of OnApplyTemplate() the gauge is properly initialized and ready to shine. 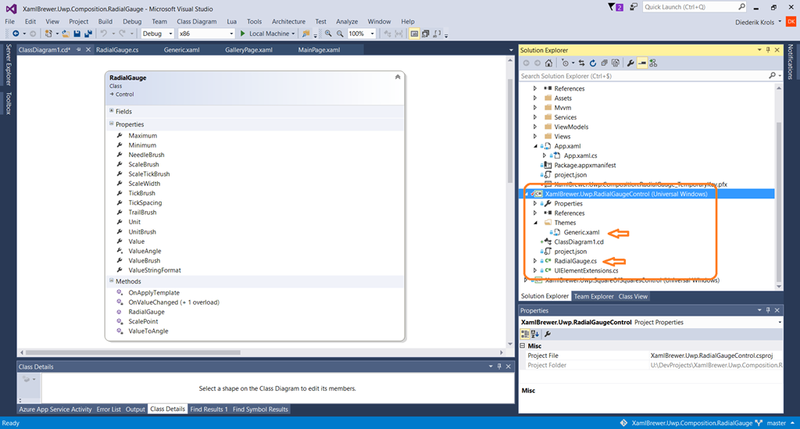 When the Value property changes, it fires the event handler that was registered in the dependency property definition. That handler is a static method –as imposed by the dependency property infrastructure- so you can’t use ‘this’ in it. The reference to the gauge comes in as a parameter of the type DependencyObject, so you have to cast it. I don’t remember why I called the corresponding variable ‘c’ in the following code, but it’s actually a common practice to call it ‘_this’, or ‘that’. 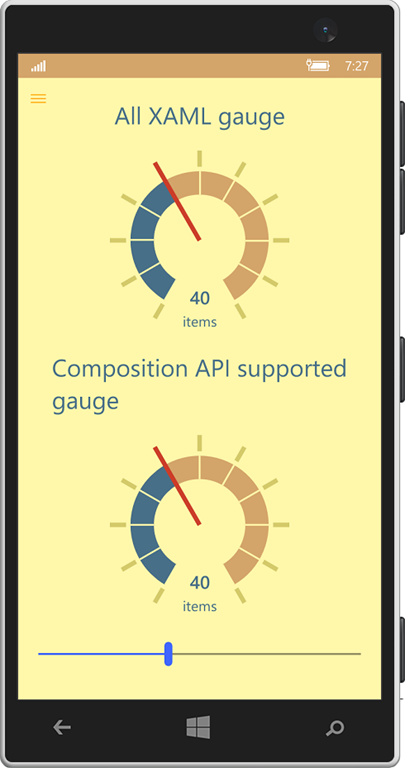 In a production version of this gauge, it would make sense to also listen to changes in other properties. If you want to use this gauge to follow up the daily evolution of a stock quote, then the Minimum and Maximum values will change at runtime. 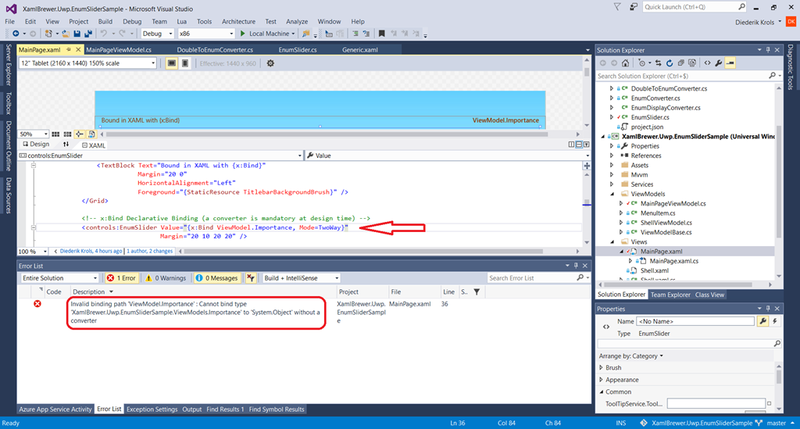 This version assumes that all properties except Value are assigned in the XAML, and do not change after that. 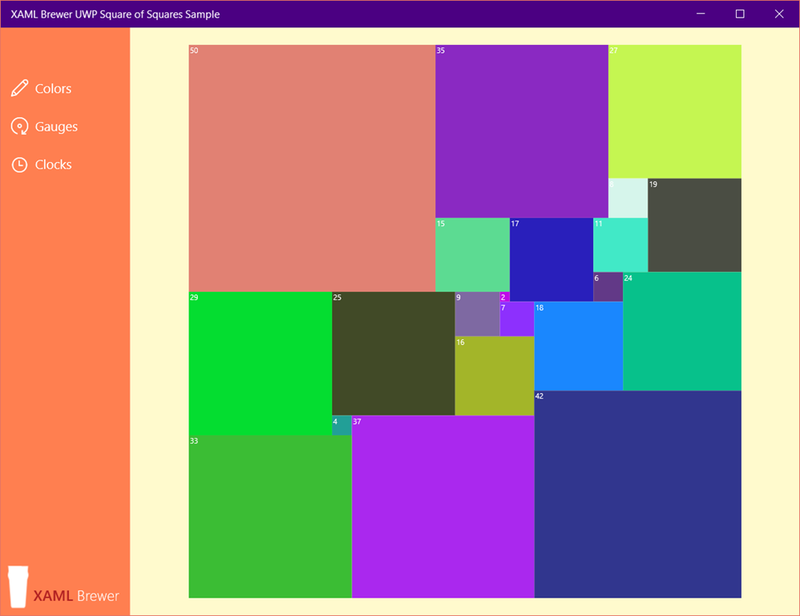 You may consider the SquareOfSquares and the Gallery as a kind of ‘visual unit tests’. The upgraded version of the Modern Radial Gauge looks crisp again in any size and resolution. 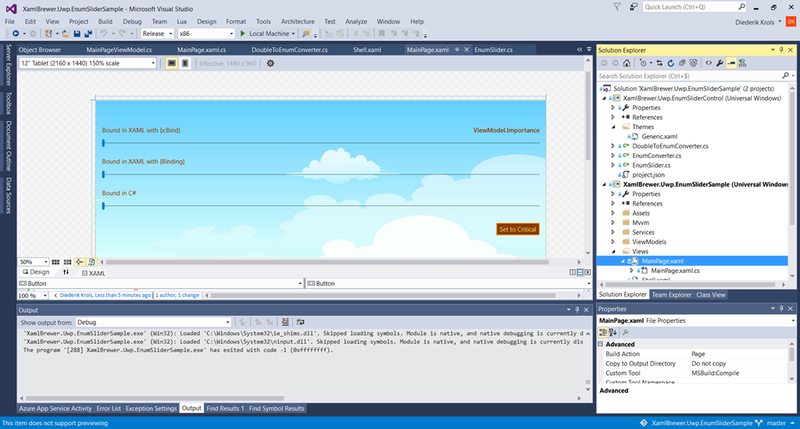 Its Visual Tree is a lot smaller, and the needle rotation is not done by the XAML engine anymore. That should result in better performance. That may be important e.g. in a dashboard with a huge amount of gauge instances. Last but not least, we identified some useful enhancements for future versions. All source code is available. 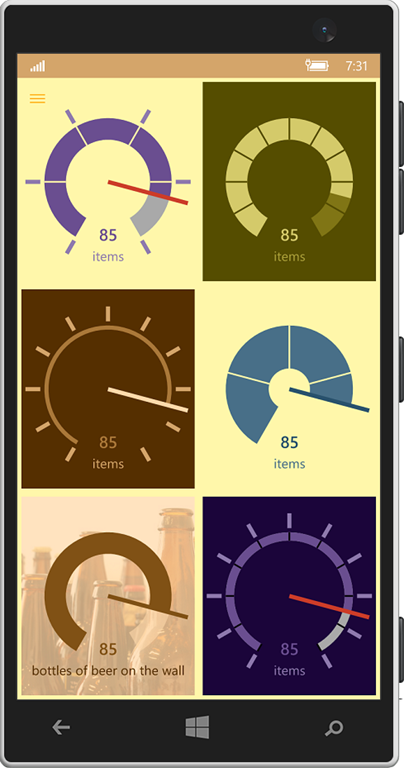 The sample app and all related controls live here on GitHub. This entry was posted in Composition API, User Controls, UWP on January 23, 2016 by xamlbrewer. 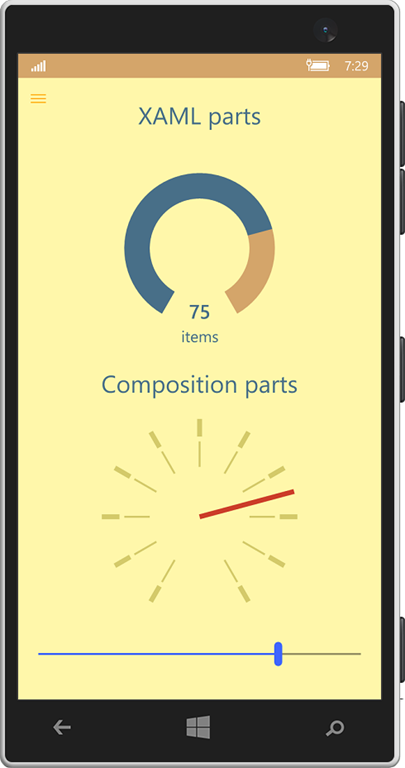 This article presents a UWP XAML control that displays 21 square UI elements, each of a different size, inside a square. For testing the UI and the performance of some user controls, I wanted to create a square panel to host as many as possible square areas of a different size. That smells like a mathematical problem, right? And yes: I found a mathematical solution in a domain that is called squaring the square. It’s a “squared square” because … well … it’s a square made up of squares. It’s “perfect” because each of the inner squares has a different size, and it’s “simple” because no subset of inner squares forms a rectangle or square. 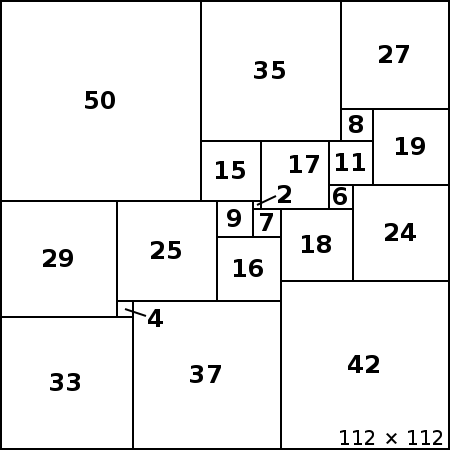 On top of that, all of the 21 inner squares are “integral”: their side is of integer length (which is convenient for calculating coordinates). 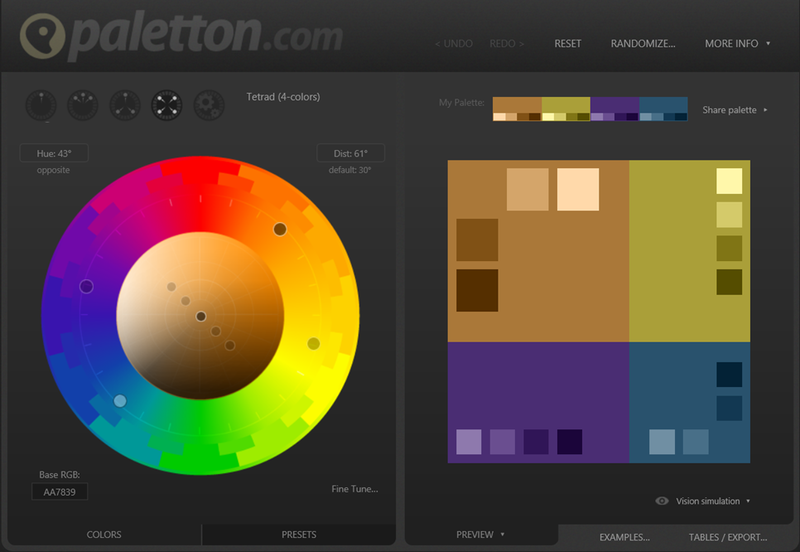 You can devote an entire web site to this, or you can use it as a design for furniture. Personally, I think of it as a nice frame for torturing testing UI components. /// Returns the side of an inner square. 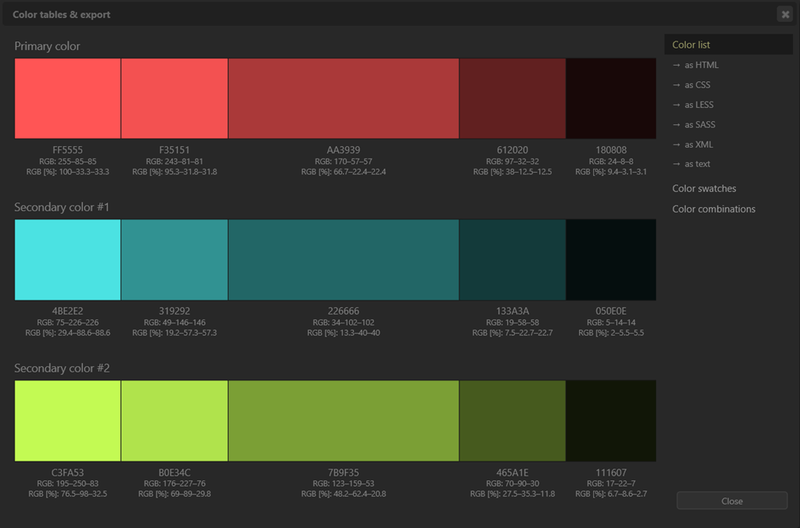 /// Returns a random color. Feel free to add similar methods to return the position of the square, if you require. 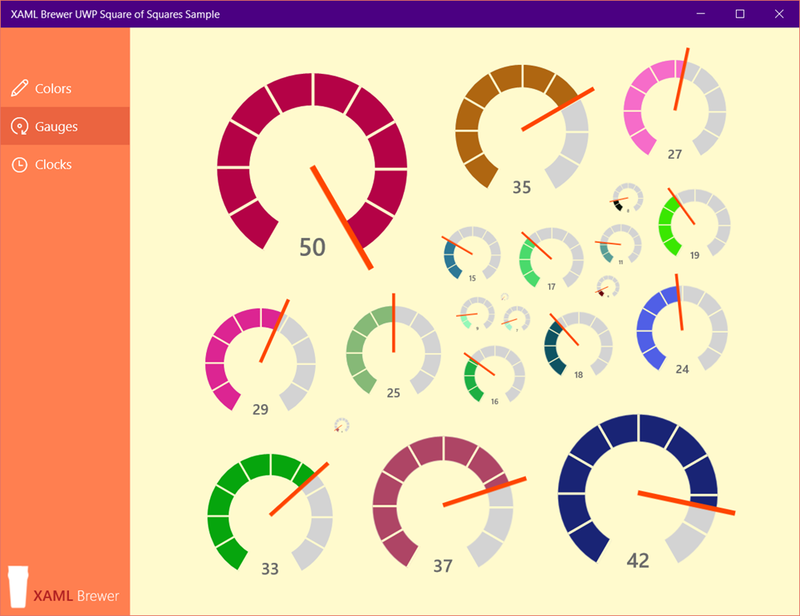 The sample app, together with the SquareOfSquares control, lives here on GitHub. The control is in its own project, ready for use. 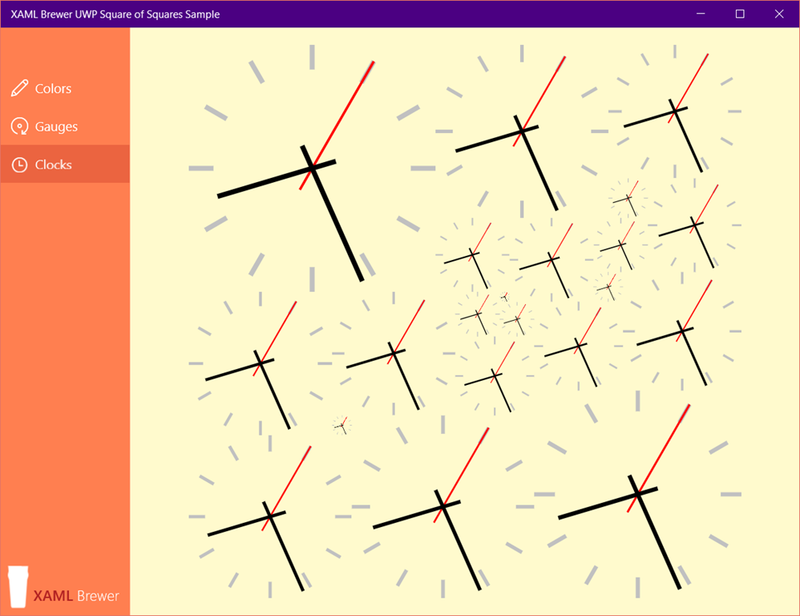 This entry was posted in User Controls, UWP on January 6, 2016 by xamlbrewer. 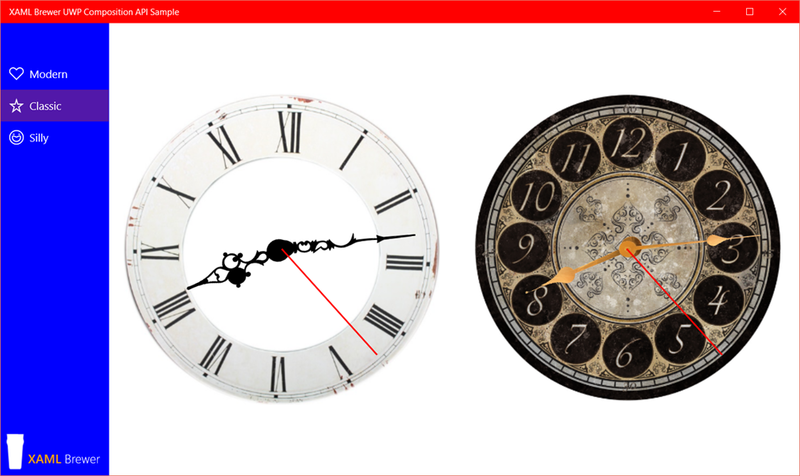 To discover the API, I created a sample app with different versions of a user control representing a clock. 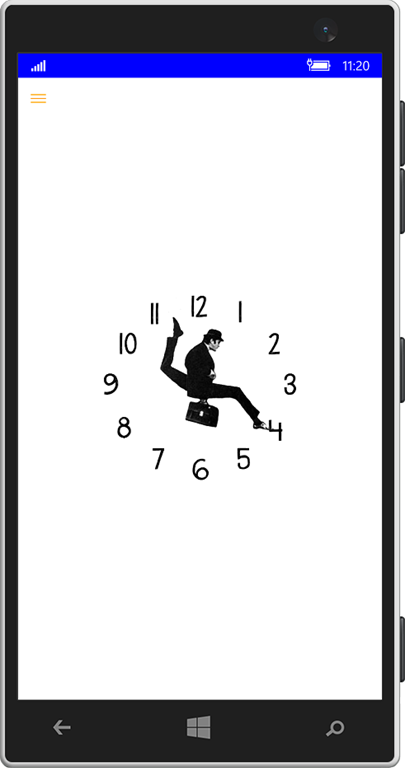 The clock is just an empty XAML element, the ticks and hands are drawn by the Composition API. 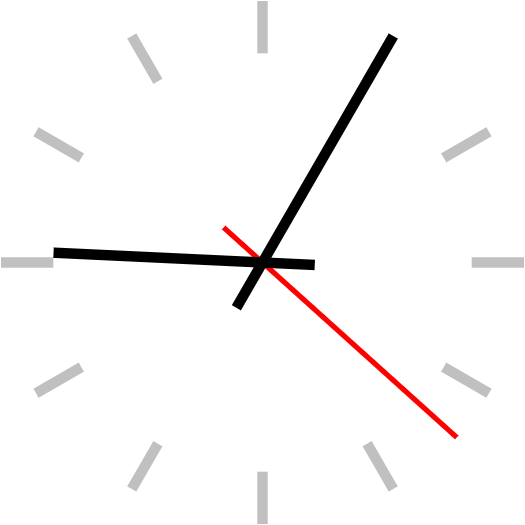 The rest of the clock is drawn and animated through Composition. 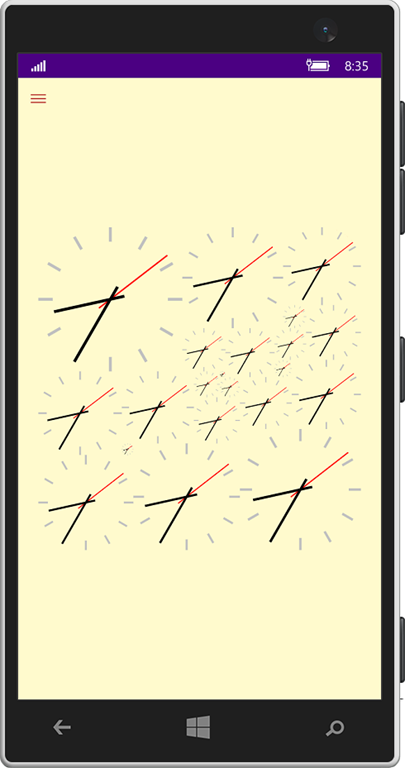 All visuals are created by the _compositor, and added to the _root. 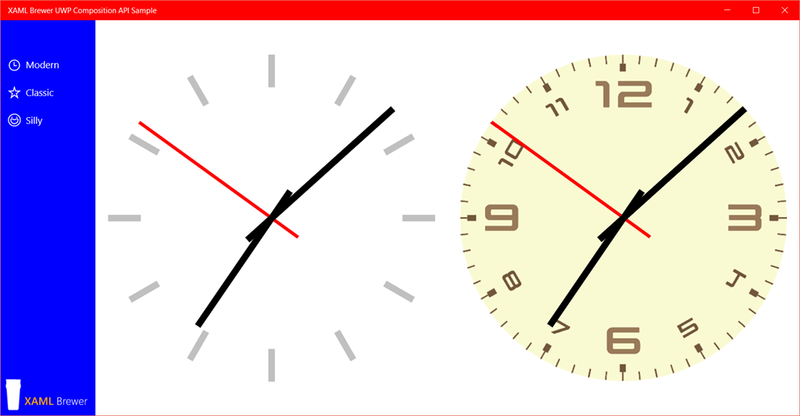 The animation is triggered every second by a timer, and lasts for 900 milliseconds, so the hand stops briefly at every second tick. 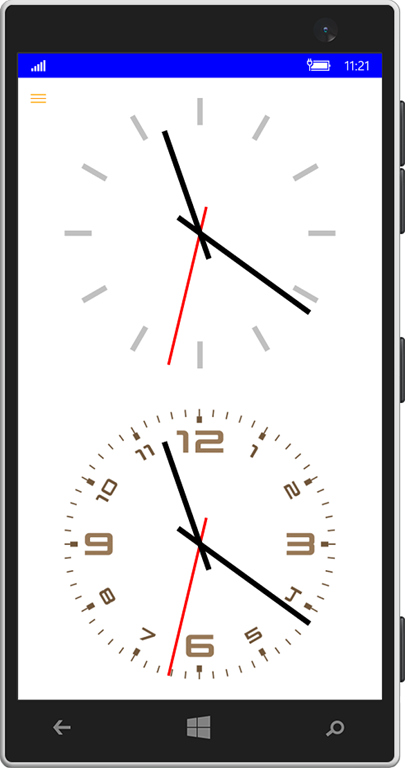 In that short interval between the two animations, we update the rotation angle of the hour and minute hands. We do this not only because it looks nice, but also because we wanted an excuse to introduce you to the CompositionScopedBatch class. 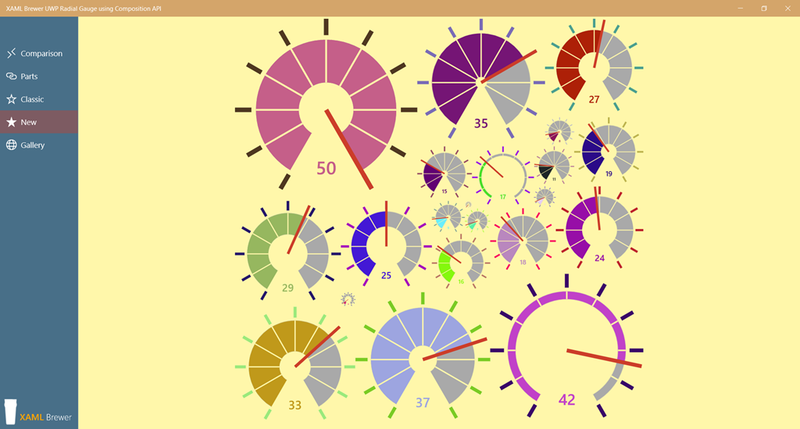 When you run the app in Visual Studio you’ll see a fully functional clock. 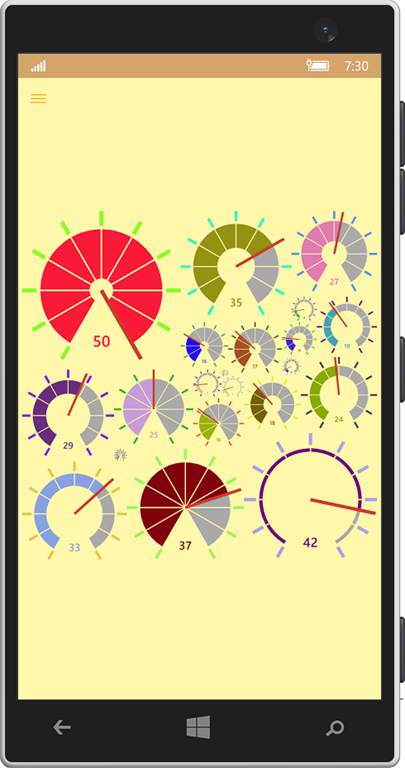 When you open the Live Visual Tree of the clock, you’ll see that the Container canvas has no XAML children. So you can combine Composition API drawings and XAML elements into the same surface. When you want to work with image files in the Composition API, your project needs a reference to the Windows.UI.Composition.Toolkit. 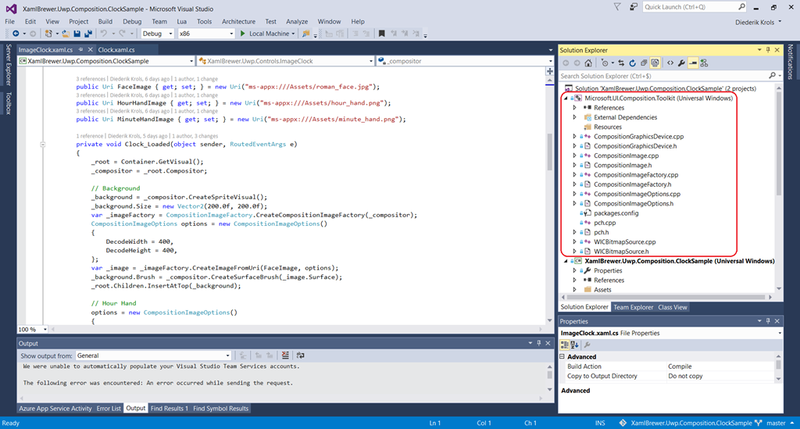 There’s no NuGet package for this [I assume that the functionality will become part of the API in the near future] so I copied the C++ source from the official Composition API Samples on GitHub. Make sure that such images have a transparent background. Paint.NET is an excellent tool for this: click with the magic wand tool on the background, and press ‘delete’. But of course you may also opt for PhotoShop, and a designer. 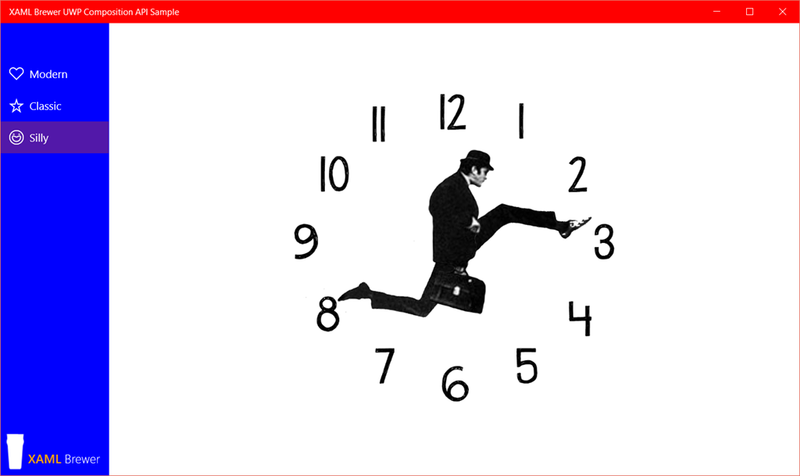 When looking for clock images for the sample app, I came across this awesome DIY Silly Walk clock. It has four layers of images: the background, the two hands (well … legs in this case), and the body. 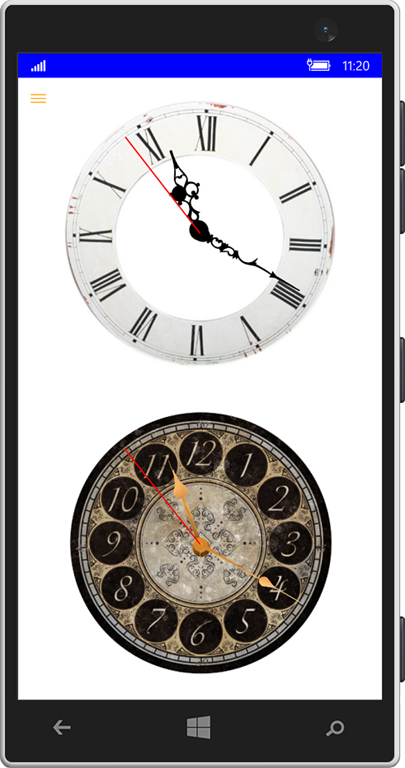 Instead of calculating the individual positions, the decoding heights and widths, and the rotation center in code, I gave all four images the same size, and positioned them correctly. All of the source code, including image assets and a version of the C++ Composition Toolkit, lives here on GitHub. 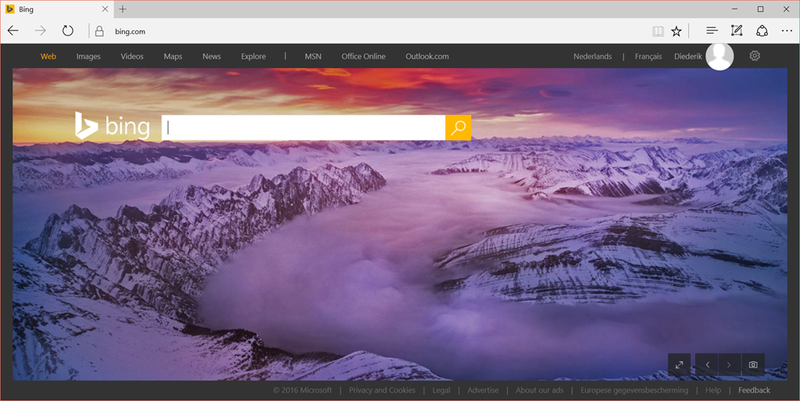 This entry was posted in Composition API, User Controls, UWP on January 4, 2016 by xamlbrewer.